​Keep your valuable Kodiak Strength speciality bars organized and off the floor with our 7 bar vertical bar holder. We have a soft spot for the trap bar, and as such have built our storage contraption around it. The trap bar sits at the back and is easy to get to without taking up any more floor space than necessary, and there is still room for another six bars! We also incorporate additional weight storage for bumpers or extra plates (weight storage extra cost to the unit call for price). Simple. Heavy. Strong are just a few words that have been used to describe our IPF spec bench. The flat bench is a classic piece of equipment that serves many uses, with that in mind we have designed ours to IPF spec and over built construction. When choosing a bench one must take into account bodyweight and weight being lifted a 200lb lifter benching 400lbs needs a bench capable of supporting 600lbs many light commercial benches are rated for 500lbs. 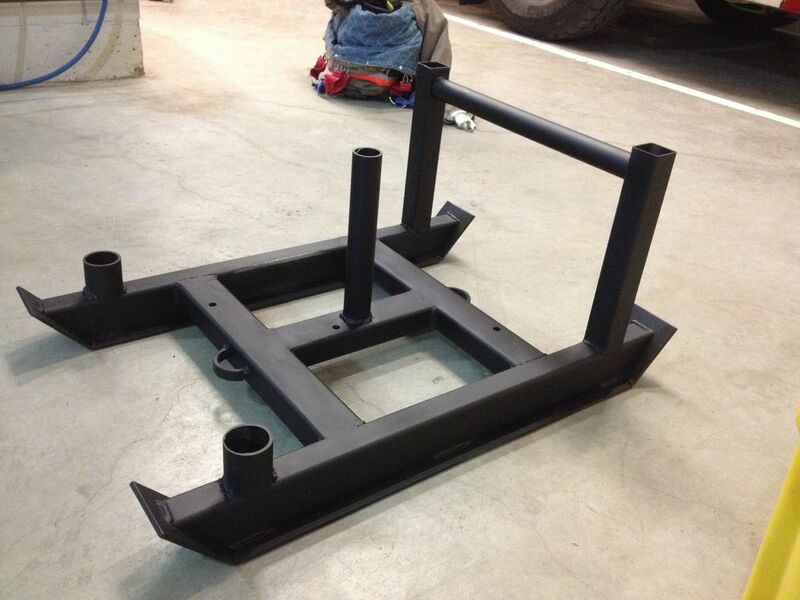 The Kodiak IPF bench is constructed from 3" square tubing in our standard 3/16" thickness and has been loaded to over 2000 lbs (we ran out of room and weight) so you can be sure that your safety is guaranteed. Topped in 1 1/2" plywood with our industrial padding and extra thick marine grade vinyl. Fully welded with solid steel end caps (no cheap plastic cap ends EVER). 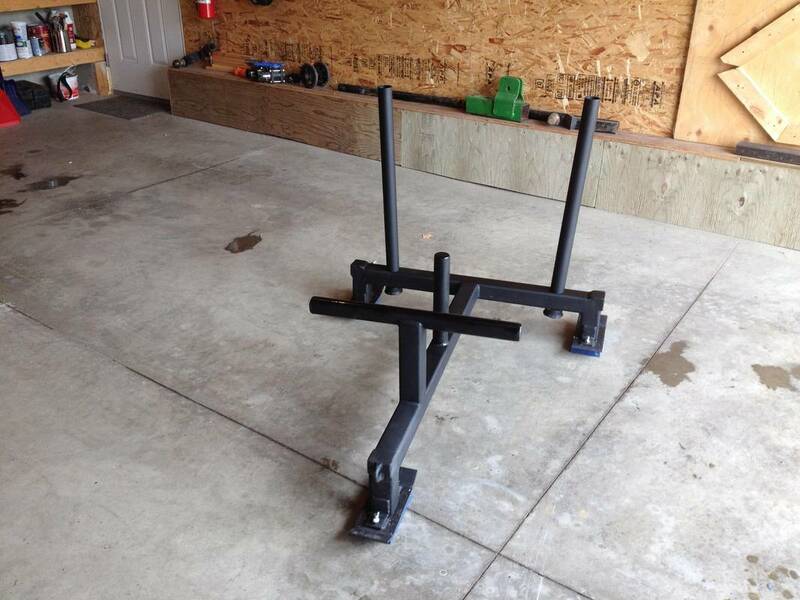 This bench will stand up to a lifetime of lifting. Still keeping your chalk in a plastic container (like someone we know)? Looking for something unique to set your gym apart from the rest? Powerlifters love chain, and with that in mind, Jon has created a completely custom, one-of-a-kind, chalk pail holder. Every chalk pail holder is a little different, and completely built for you personally. Don't wait, order one today and make all your training partners jealous.